Experience North India on a Luxury Golden Triangle Tour. 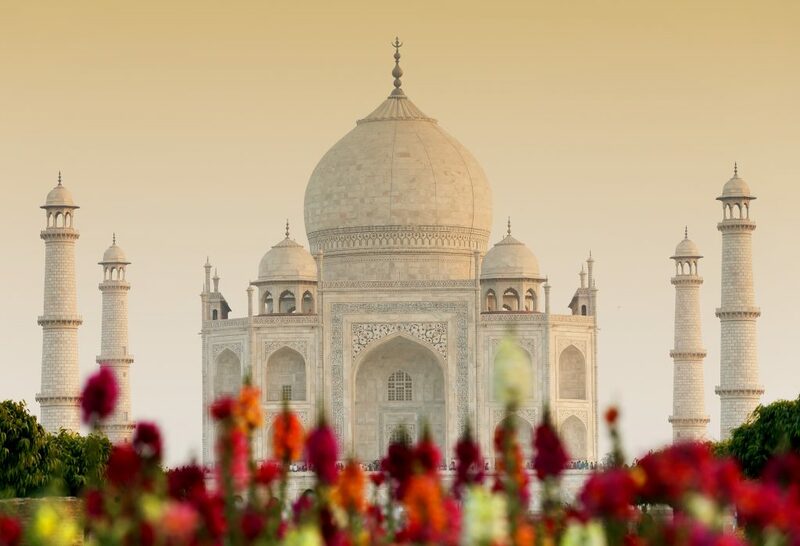 Highlights on this Luxury Golden Triangle Tour include: All luxury accommodation on twin sharing basis, Daily breakfast, Private guide and city tours in Delhi, Agra & Jaipur, all monument entrance fees, personal chauffeur and A/C vehicle + more. Delhi reflects the legacy and heritage of Mughal Delhi which is popularly known as Old Delhi. Pulsing with energy and colour, Old Delhi is laced by a maze of narrow lanes where you get a glimpse of many contrasting flavours from wedding bazaars to expansive spice markets, to graceful architecture. In contrast to Old Delhi – the imperial city or New Delhi created by the British – have numerous fine colonial structures, magnificent buildings and wide boulevards laid according to the master plans of the great colonial architect Lutyens. The ancient city of Agra lies on the banks of the river Yamuna and is one of the oldest settlements of India. Between the 16th and 17th C it was the seat of power of the Mughals and three generations of Great Mughals ruled a huge empire from here. It was also a centre of learning, Culture, Art and Religious philosophies which produced some of the most renowned litterateurs and scholars. Jaipur is a city where royalty still lives in the grandeur of its palaces, where fighting for the honour of the clan has never been a need but a way of life, and where treating guests as gods has been a tradition from time immemorial. Jaipur got its name from its founder Sawai Jai Singh (1693-1743), who had the vision to create a meticulously planned city as his capital. All the houses in the old city are painted pink, including the famous Hawa Mahal, thereby giving the city its popular name, the Pink City. Option 1: 3 Days Chambal River Safari Experience – Including Accommodation on twin share basic, Daily Breakfast, Transfers, Motorboat safari, Town and temple visit along the holy Yamuna River, for AUD$449 Per person. Option 2: 3 Day Ramathra Fort Experience: Package includes accommodation in twin share basis, All Meals, Walking village tour, daily activities like camel cart ride or bird watching for AUD$599 Per Person Twin Share. Overnight at The Imperial Hotel. 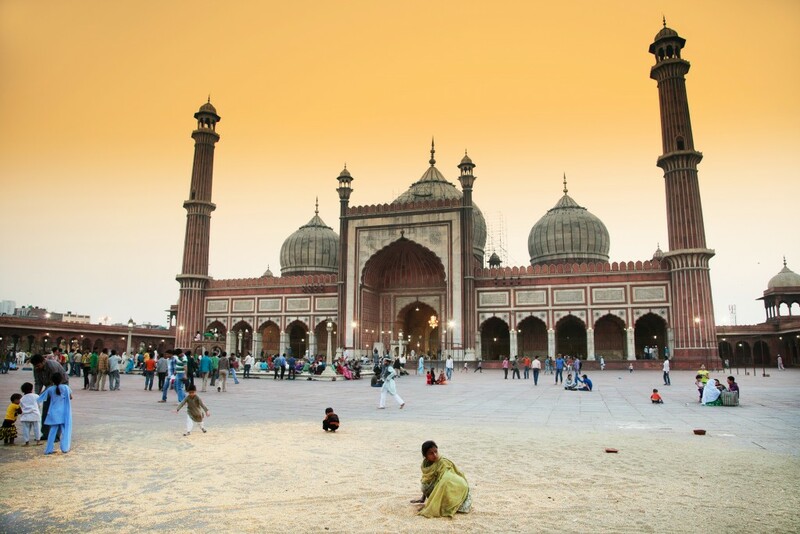 Start the tour by exploring the fascinating and the living legacy of the Indo-Islamic culture, lifestyle in Old Delhi. In 1638 Moghul emperor Shahjahan transferred his capital from Agra to Delhi and laid the foundations of Shahjahanabad, the seventh city of Delhi. Today it is popularly called Old Delhi. In this part of the city you will visit the largest and best-known mosque in India which can accommodate 20000 people at one time. Jama Masjid was built by Shah Jahan in the 17th C. Awe inspiring and beautiful with its three domes and elegant tapering minarets this active mosque also houses some sacred relics of the prophet. To get a real feel of this area take a rickshaw ride in the busy and narrow streets of the mile long Chandni Chowk, popularly called “The Silver Street”. The throbbing energy of this area is palpable with all the activity that you will see- vegetable vendors calling out their wares, shops doing brisk business, roadside snack stalls attracting passer-bys, students browsing through book shops, labourers carting goods through the narrow lanes, and so much more! This afternoon is free for those who would like to get in a little shopping or just enjoy the facilities of the hotel. Late morning, you will drive past the magnificent Parliament Building and Rashtrapati Bhawan (the official residence of the President of India set in 330 acres of land and designed by Sir Edwin Lutyens) and India Gate in New Delhi. End the tour at Humayun’s Tomb, built in the 16th century and architecturally considered the forerunner of the Taj Mahal. You may also like to visit the Sikh temple and witness the largest community kitchen serving free food to thousands of devotees. Optional: Depart for Kingdom of Dreams for Zangoora show followed by dinner. Zangoora – the Gypsy Prince show or similar. India’s answer to Broadway, Zangoora the Gypsy Prince – The biggest Bollywood musical ever. Introducing a brand new genre of entertainment where storytelling & Bollywood style Song & Dance meet stagecraft and technical wizardry like never seen before. In a world class theatre Nautanki Mahal, enter a world of entertainment that brings the best of Indian and International talent to create a Bollywood spectacle live on stage that is truly cinematic. Sound, light, video, animation, special effects, aerial choreography, stunts and magic. The show boasts the grandest of Bollywood music of the last three decades strung together into a Bollywood potboiler storyline. (Travel time is about 1.15 hour one way and the show’s duration is 2.5 hours. On arrival you will brought to your hotel. Check in time is 2:00PM, so we suggest you drop your bags at the bell desk and proceed for a visit of the Agra Fort, strategically situated along a bend on the Yamuna River. Built 16th century AD by three generations of Mughal emperors, it is a superb synthesis of stern military fortifications with delicate interior details. The Mughal Emperor Shah Jahan was imprisoned by his son here. Here you will see the art and crafting of the white marble that has made the area so famous, and the Halls of Public and Private Audience. Return back to the hotel on a traditional mode of transport- a Tonga or a horse carriage, decorated with fragrant marigold flowers. Enjoy the rhythm of the clip clop of the horse’s feet and get transported into a by- gone era! Early morning, we enjoy a sunrise visit to the incomparable Taj Mahal. Experience the sublimity of the Taj Mahal – a varying kaleidoscope of solitude, colour and mood. A tribute from a great emperor to the memory of his beloved wife, it was 22 years in the making (1631-1653) and is a cerebral experience that defies description. Widely regarded as the earthly replica of paradise, the Taj Mahal is likened to “a vision, a dream, a poem and a wonder”. (Taj Mahal is closed on Friday). After breakfast, you will be driven to Jaipur (5 hours drive) – en route visit Fatehpur Sikri, an enigmatic deserted Mughal city. This spacious, red sandstone city was built in the 16th century by the great Mughal Emperor, Akbar, one of India’s greatest rulers. The architecture of Fatehpur Sikri is a combination of Hindu and Muslim styles, expressing Akbar’s vision of synthesizing the two cultures. Akbar occupied Fatehpur Sikri for 14 years before the city was mysteriously abandoned. This hauntingly beautiful city has been painstakingly restored and is now a World Heritage Site. Assistance upon arrival and check into the Oberoi Raj Vilas. 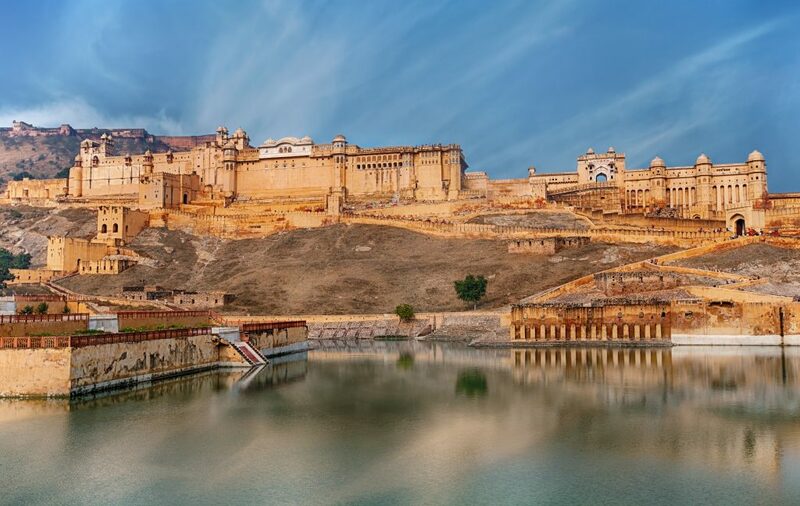 After breakfast, proceed on a guided excursion to the Amer Fort. Capital of the erstwhile State of Jaipur until 1728, Amer Fort is perched on a hill. It has halls of Public and Private Audience, a Sheesh Mahal (hall of mirrors) various marble palaces which are marvelous examples of ancient Rajput architecture. Ride a jeep to ascend the hill on which the fort is situated. Afternoon, you will be taken for a half-day city sightseeing tour of Jaipur visiting the City Palace and Observatory (Jantar Mantar). Jaipur is the capital of Rajasthan and its centerpiece is the City Palace, home even today of the royal family, and known for its clutch of excellent private museums that display royal memorabilia particularly armaments, art, books, costumes and textiles. Lying adjacent to the City Palace is the medieval Jantar Mantar Observatory – built by Maharaja Jai Singh II, an inveterate astronomer whose curiously shaped and oversized implements are astonishingly accurate till today. Overnight at Oberoi Raj Vilas.